Lynda Chanwai-Earle is a fourth-generation Chinese New Zealander with a background in the arts. Her poetry and plays have been published, produced and toured in national festivals and abroad. Lynda represented New Zealand at the inaugural Hong Kong Literary Festival in 2001 and attended the Shanghai Literary Festival in 2005 as a guest writer. Lynda’s groundbreaking one-woman play Ka-Shue (Letters Home) toured to Ireland in 1997 and Hawaii in 2004. Semi-autobiographical, Ka-Shue was the first authentically New Zealand–Chinese play for mainstream audiences. 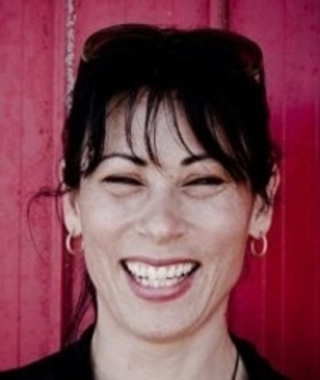 Lynda toured with Te Rakau Hua O Te Wao Tapu to prisons, marae and schools from 1995 to 1999, and has been involved as a script coordinator and performer for dramas created by women in prison. She is currently adapting her play Man in a Suitcase into a screenplay. Man in a Suitcase (about the real-life murder of a Chinese student) was an international collaboration between The Court Theatre, Christchurch, and Peking University. Lynda was inaugural New Zealand writer in resident at Sun Yat-sen University, Guangzhou, where she began work on two new plays. Currently Researcher for the Asia New Zealand Foundation’s Asia Media Centre, Lynda’s work in public broadcasting spans almost two decades. This includes working as a journalist for the television programme, Asia Downunder and as long term features producer and presenter of the Radio New Zealand Voices programme. Highlights of her time with RNZ include her documentary podcast series Flying Solo, a finalist for Best Documentary in the 2018 New Zealand Radio Awards, and her breaking news story, Slavery through Education.